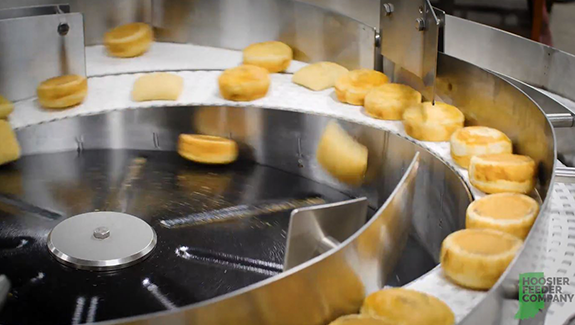 The food production industry is ever growing, and automation is playing a key role in increasing production and reducing costs. Due to strict regulations, some processes are more difficult to automate than others and are still performed by hand. 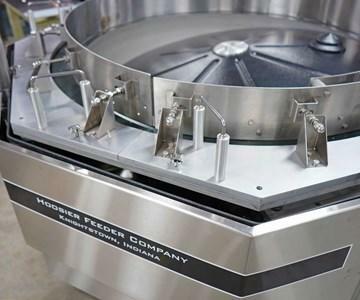 Fortunately, the Hoosier Feeder Company Food Grade Centrifugal Feeder makes simple to automate feeding your food production line with the product you need. 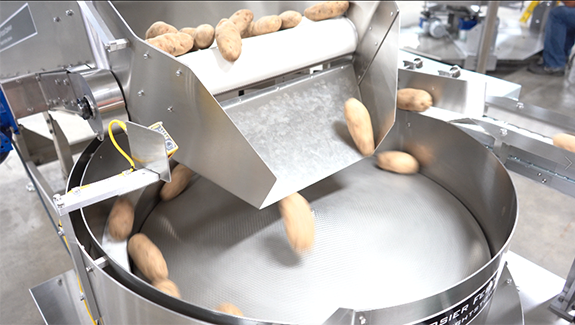 Our equipment can lead to less labor shortages as well as greatly reduce contamination issue. 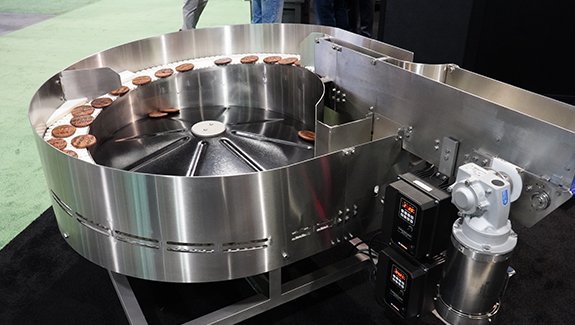 By integrating the HFC Food Grade feeder, you can increase production and re-allocate your human resources to more productive and proactive tasks. The location of the load area of a centrifugal feeder can have a large impact on the overall layout of a packaging line. Plan ahead and save time and money when installing the finished feeder. Fill out the form below to request a call or email from a Hoosier Feeder Company representative. We specialize in producing high quality and efficient equipment that orients parts with vibratory feeders and centrifugal food systems. We weve worldwide industries with our parts handling equipment. From custom built parts handling equipment to routine maintenance, service, installation and repair. Not Sure if You Need a Feeder in Your Packaging & Assembly Lines?